During the AGM, usually taking place in March, several trophies are given to members in recognition of certain achievements. 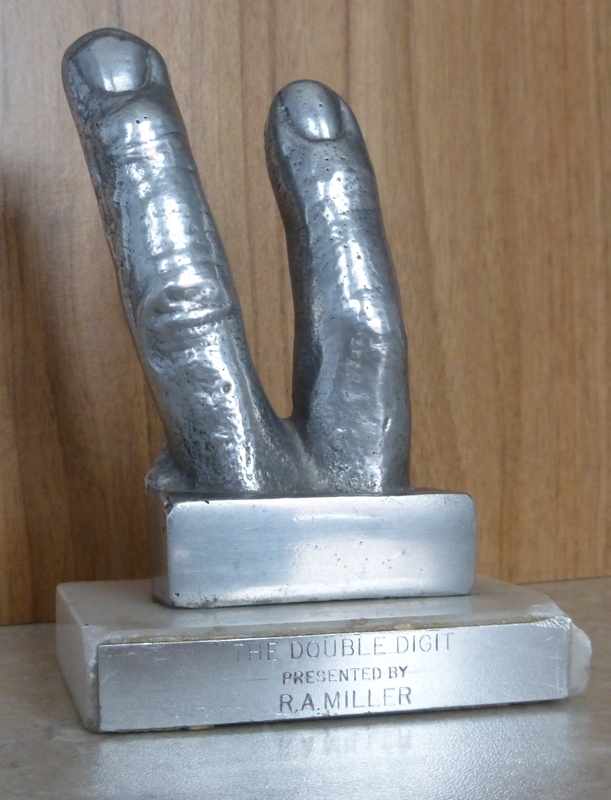 Some trophies are won based on attendance and points collected, others are awarded by a show of hands vote during the AGM. Club Person of the Year Trophy: awarded by vote to whoever has contributed the most to the club that year. Ties are decided by the Chairman. Triumph Trophy: awarded to the club member who has accumulated the most points for attendance during the year. Ties are decided by a show of hands vote. Navigator Trophy: awarded to the associate member who has accumulated the most points for attendance during the year. Ties are decided by a show of hands vote. 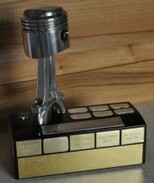 Triumph Rider's Trophy: awarded to the club member has accumulated the most points for attendance with his bike during the year. Ties are decided by a show of hands vote. 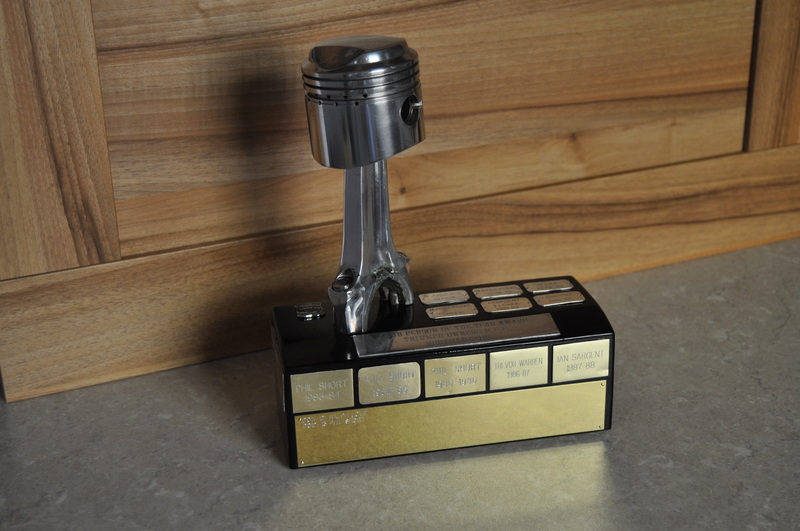 Holy Piston: awarded to whoever wins the annual quiz. The winner organises the quiz that takes place the following year. Straight Shooter: awarded to whoever wins the annual darts competition. A special trophy is the Double Digit awarded to a club member who has made a mistake and deserves to be the current "silly sausage". 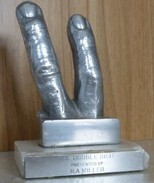 This is not a yearly trophy, but is awarded to whoever "deserves" it, and passes from the former recipient to the next. Click on a picture to display a large photo of the trophy.